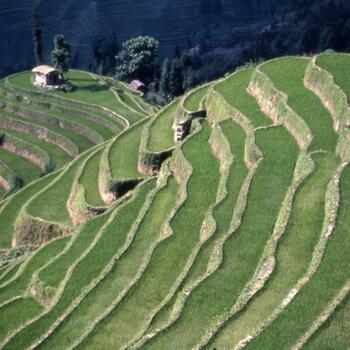 Mountain slopes terraced with rice fields are common in southern China and across swathes of Southeast Asia. 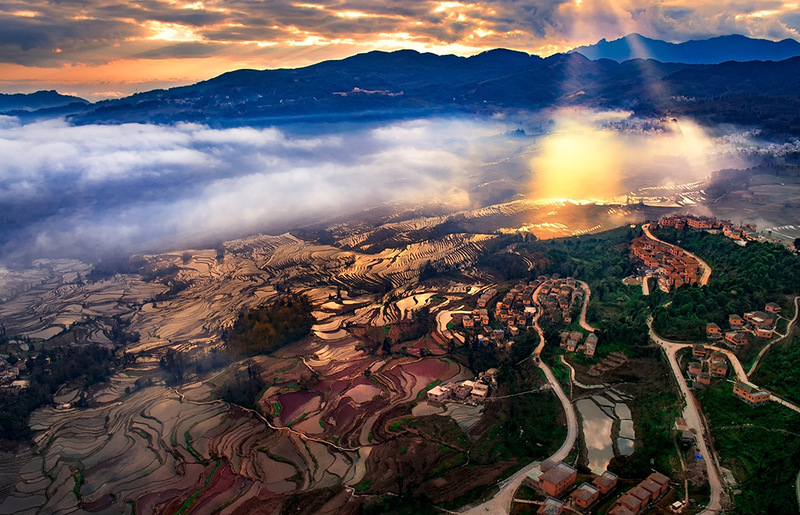 But few can claim to be as spectacular as those in Yuanyang (元阳) in southern Yunnan province. 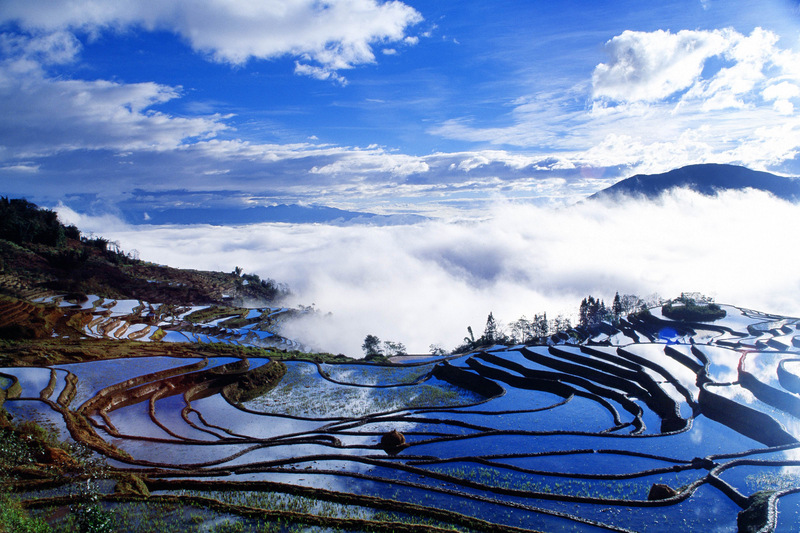 A UNESCO World Heritage Site since 2013, these endless plots of land stacked one on top of another sit about 200 kilometers due south of Kunming, nestled in the folds of the Ailao Mountain Range (哀牢山). 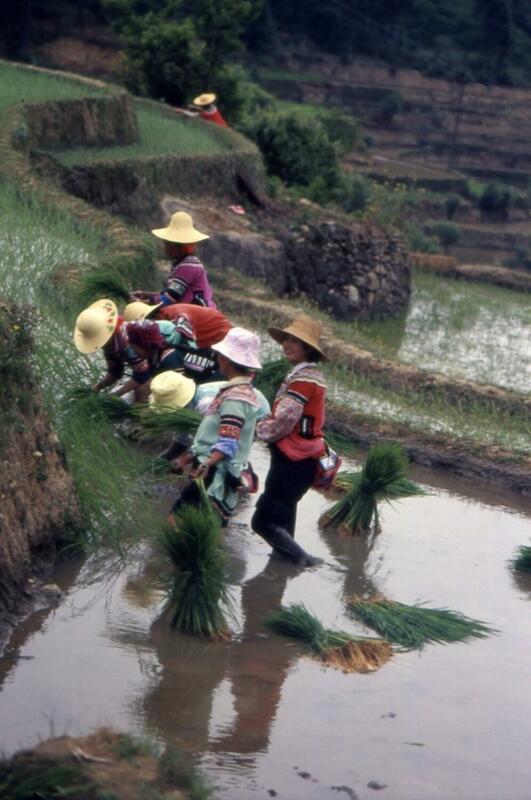 Planting traditionally begins in Yuanyang at the onset of the monsoon in late May. 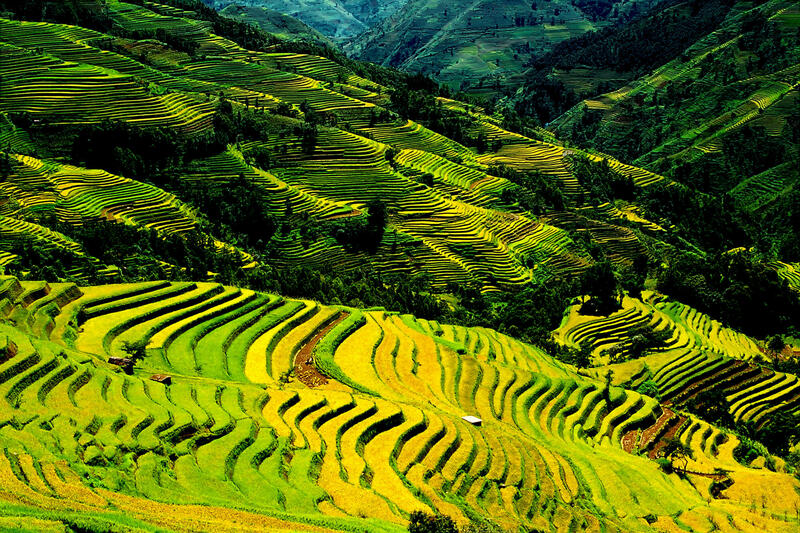 The crop ripens in August, splashing the mountains with patches of golden yellow. 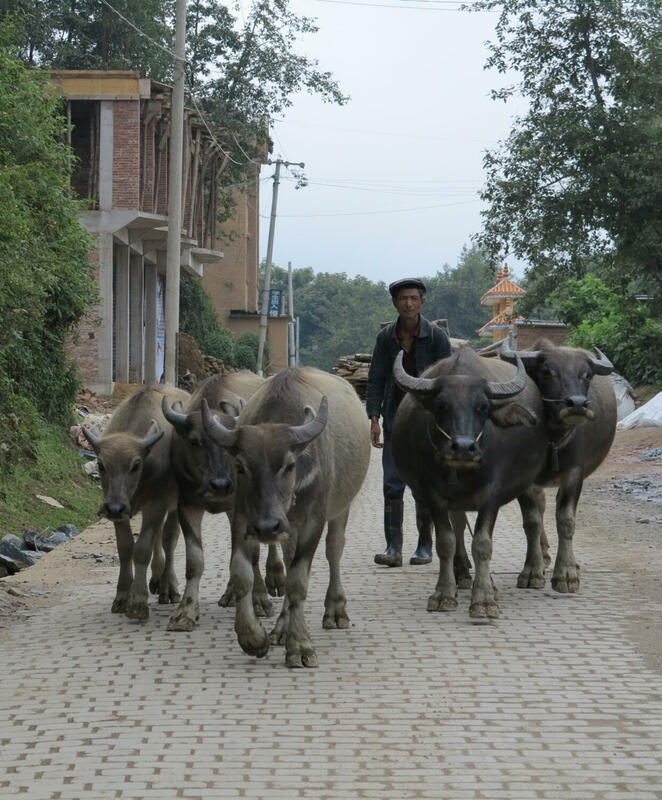 In September the farmers crop the grain, threshing it on the spot by whipping the stalks against funnels made from stiffened buffalo hide. 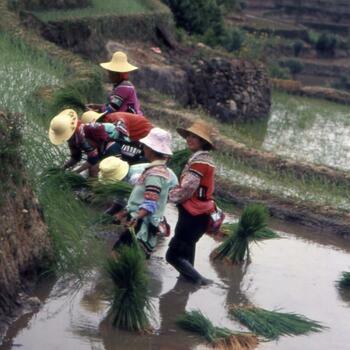 Repairs to the main irrigation channels, as well as the terraces themselves, follow the harvest. 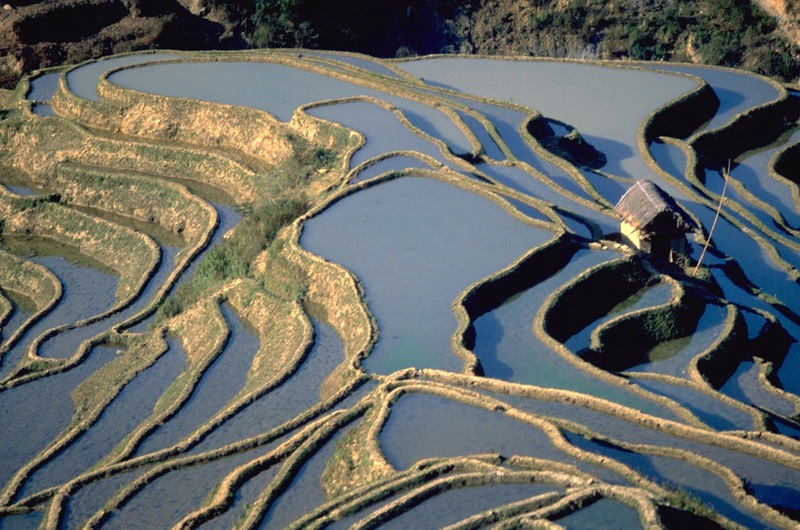 The terraces are left flooded until the next planting. Although no one is certain when work on the extensive, spring-fed irrigation systems and endless handmade furrows first began, it is certain they have been under continuous cultivation for centuries. 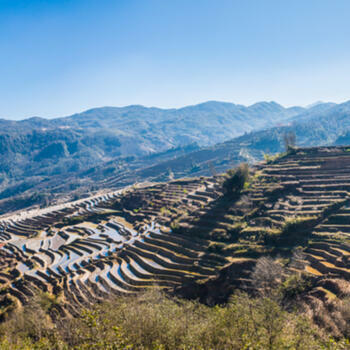 According to author, ethnographer and Yunnan expert Jim Goodman, "the Ailaoshan terraces were mentioned in Tang Dynasty chronicles, the earliest instance ever recorded of such farms anywhere in the region, and are therefore at least one thousand years old." 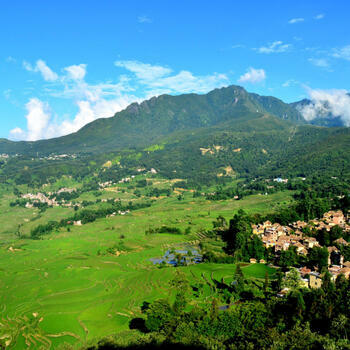 When speaking with locals, the name 'Yuanyang' actually refers to three different places — Yuanyang County (元阳县), the new city of Nansha (南沙镇) and the old town, which is somewhat confusingly also called Xinjie (新街镇). 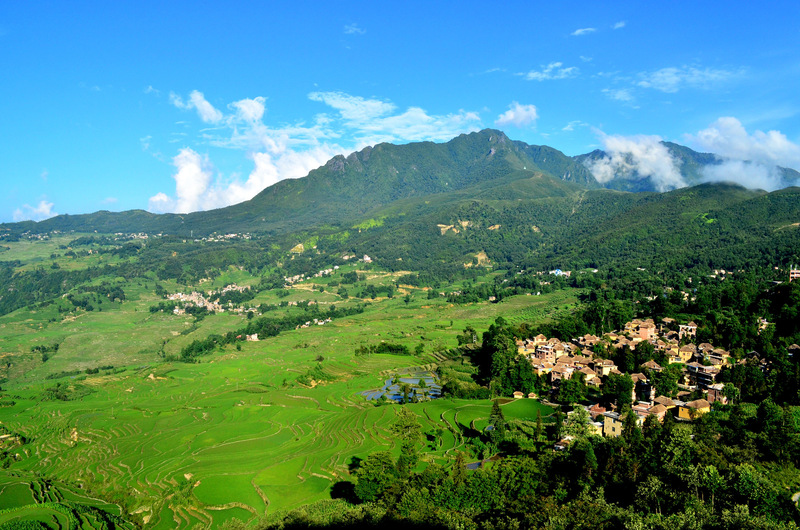 • Yuanyang County covers an area of roughly 2,200 square kilometers. 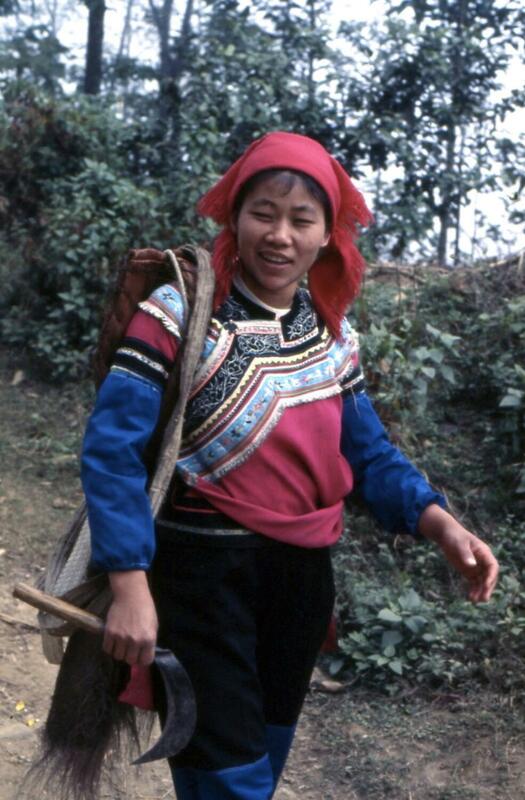 It is almost completely mountainous, bordered in the north by the Red River (红河), which flows to the Chinese-Vietnamese border, and then much further downstream empties into the Gulf of Tonkin. 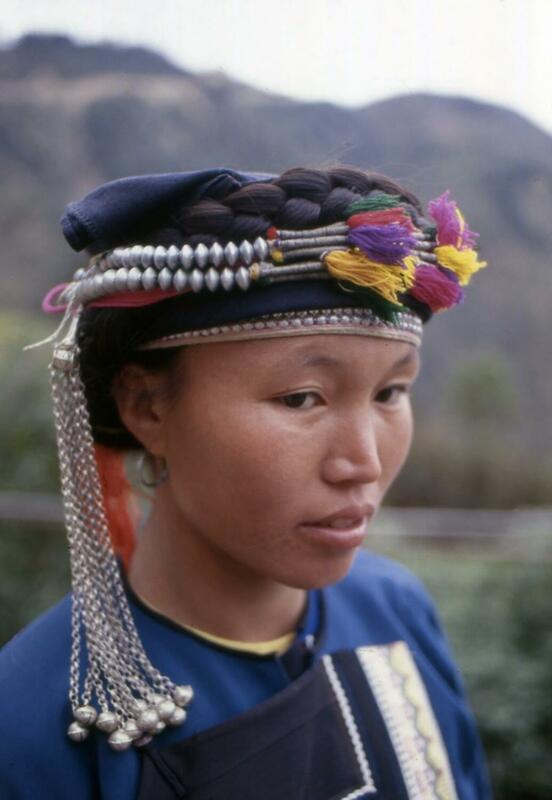 Almost 90 percent of the county's 420,000 residents are indigenous minorities, mostly Hani and Yi, but also Dai, Miao, Yao and Zhuang. • Nansha is the relatively new county seat, and was built right on the shores of the Red River. The town functions as the main transportation and commercial hub of the area. Most buses coming from nearby cities will drop you off here. 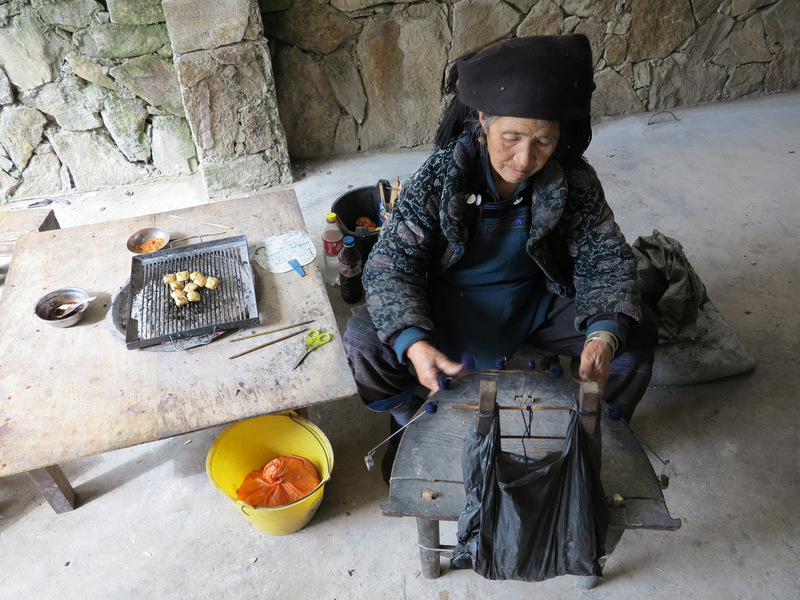 Nansha is a good place to arrange a minivan for the last leg of the journey to the terraces, and to stock up on supplies like locally grown tropical fruit or the beverage of your choice. 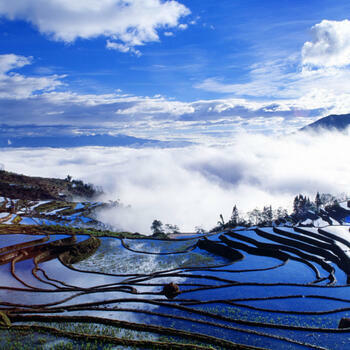 • Xinjie is the gateway to the Yuanyang Terraces Scenic Area (元阳梯田风景区). 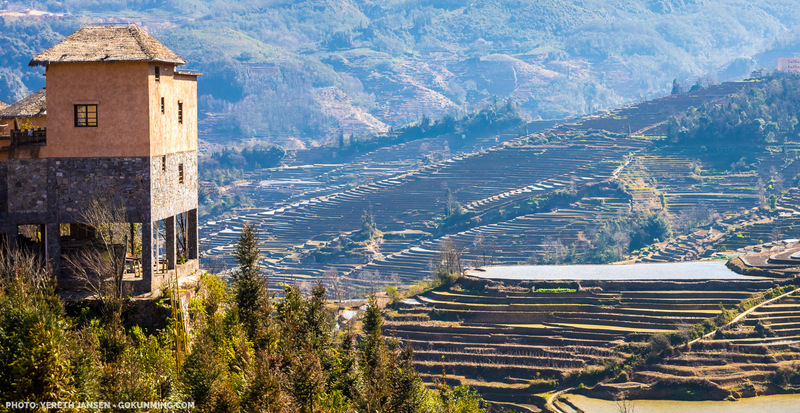 Located 30 kilometers southeast of Nansha, it sits perched at 1,700 meters above sea level. 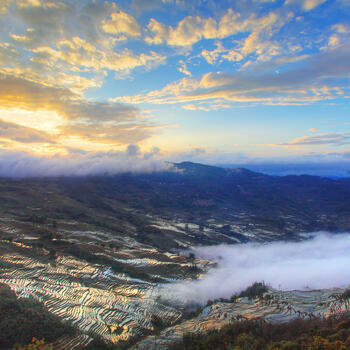 The Yuanyang Terraces Scenic Area is just outside of town and costs 100 yuan (US$16) to enter. The ticket grants access to various elevated platforms built over the past several years, many of which provide fantastic angles for photography and viewing. Keep in mind, these spots are typically very crowded. 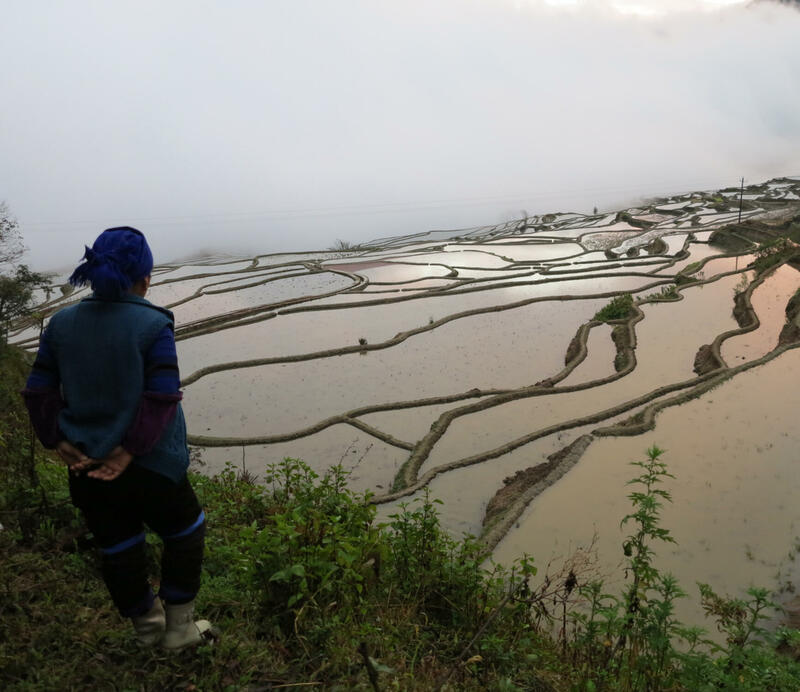 Alternatively, you can hire a minivan in Xinjie and simply ask the driver to take you to other nearby sites where the views will be just as amazing but far less packed. 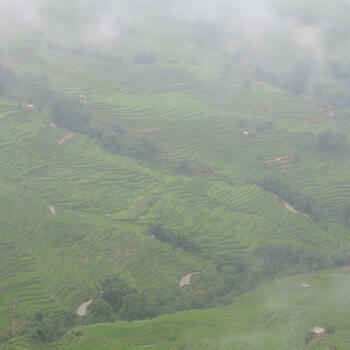 The terraced fields are sculpted into the mountain, and follow the natural contours of the land. Large plots are built on gradual slopes, and long but narrow fields cover the sides of steeper mountains, creating sinuous patterns. 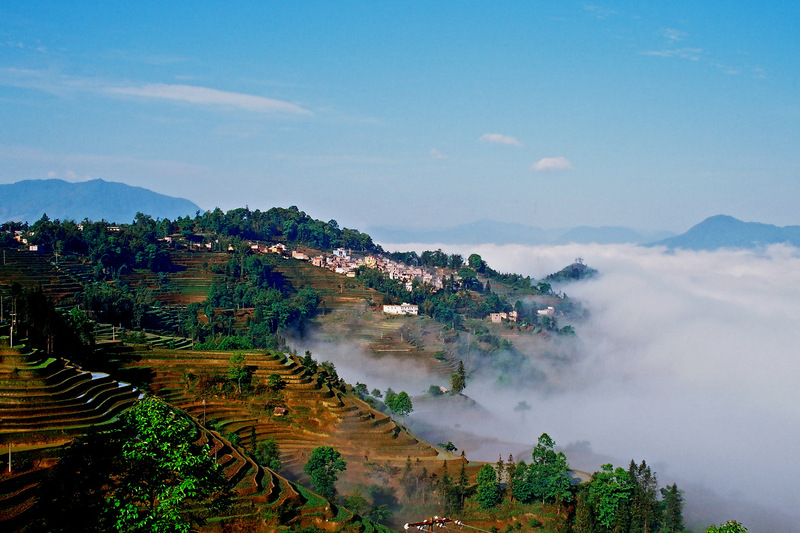 The top of the mountains are usually covered with thick forest and left untouched. Within these stands of trees are the springs that were originally used to irrigate the terraces. Villages were originally built next to other naturally occurring springs, and the resulting streams diverted into canals which still today flow downhill to the lowest-lying fields. Antique-looking grain mills and old fountains can still be found for those willing to explore. The terraces are an impressive work of art considering they were built and maintained over centuries, mostly just using simple tools. Local people are extremely proud of them. The smaller plots closer to the villages are cultivated with vegetables and occasionally soybeans. 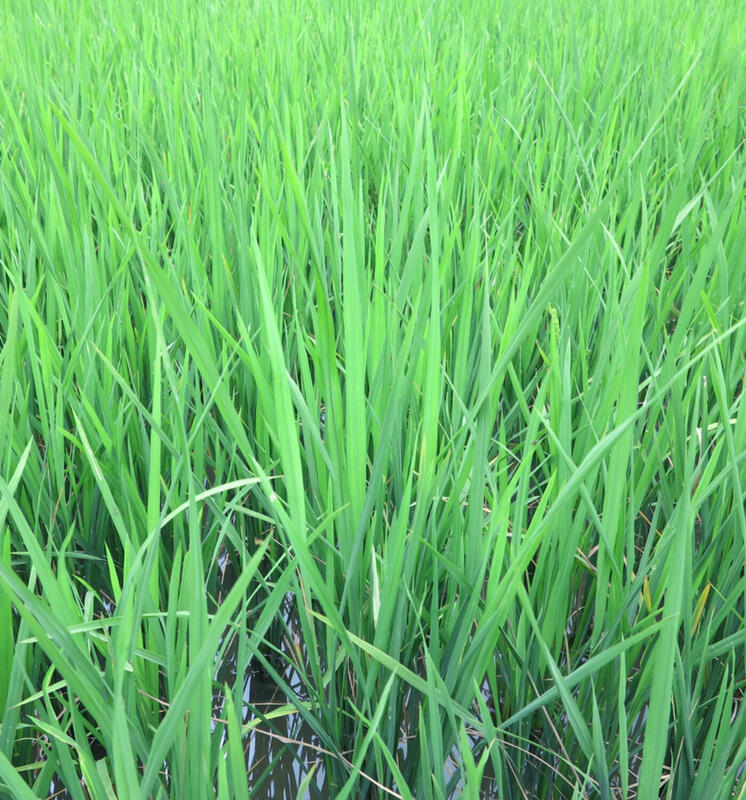 Those further away are reserved for red and purple varieties of rice, which are planted only once a year, usually at the end of May. The scenery changes throughout the year as the crops grow and ripen. 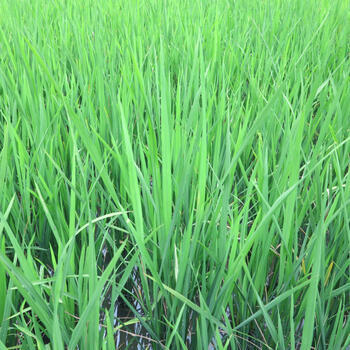 In summer, the slopes are bright green, later turning yellow as the rice ripens. Sometimes, after the harvest, a layer of dark-red moss covers the surface of the innumerable plots, adding another color to the landscape. Even though the scenery is stunning throughout the year, most people seem to prefer visiting during the fallow winter months. 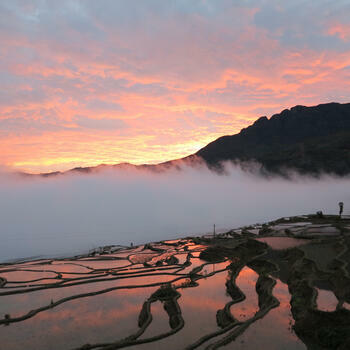 At sunrise and sunset, the water-filled terraces reflect the sky with its pink, red and orange shades. 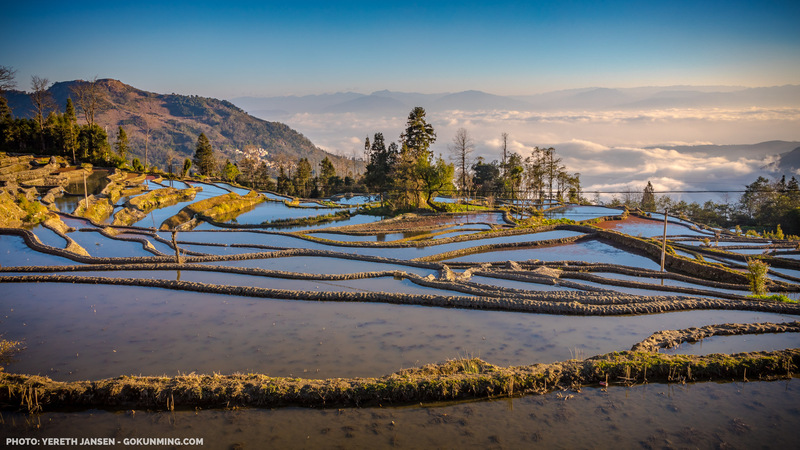 Fog and clouds, as well as local people doing farm work or taking care of their animals make it an ideal destination for photography enthusiasts. The area has a very peculiar climate, mostly mild throughout the year, and often wet, especially in summer. Snow is a rare occurrence in winter but makes for a spectacular addition to the already breathtaking views. One constant feature is fog, which can be annoyingly thick at times. On luckier days, it makes for a great addition to the landscape — clouds can be very low, and move from one village to the other within very short periods of time. 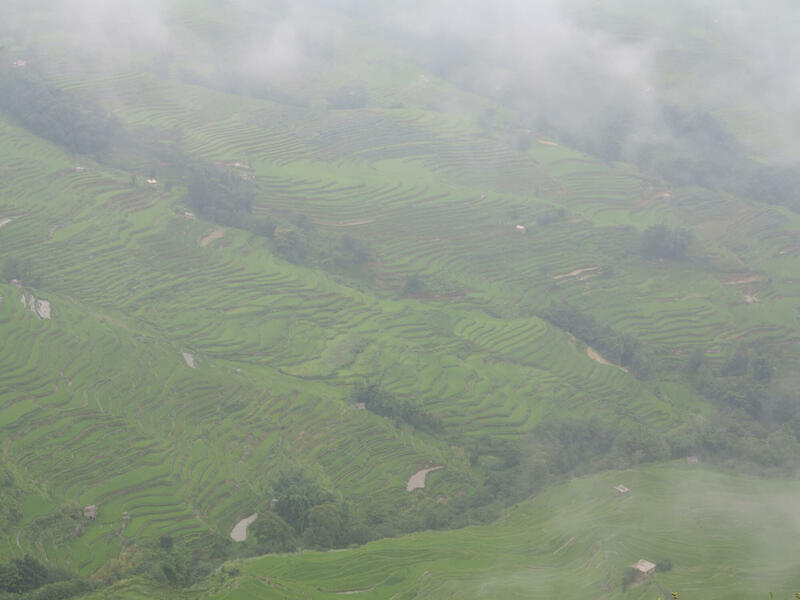 Staying at least a few days is definitely recommended, because when the fog is thick, not much can be really seen. If that's the case, exploring the nearby villages and markets is always a good option. 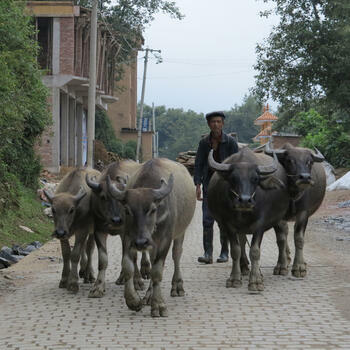 The locals get up early in the morning and take their buffalo and ducks to the fields. 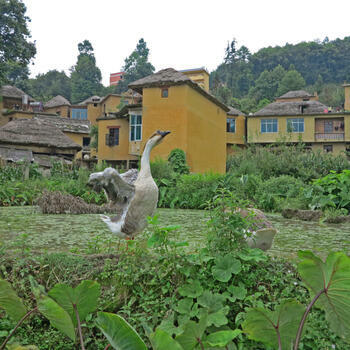 They get a bit angry if you scare the ducks away from their path, so be careful! 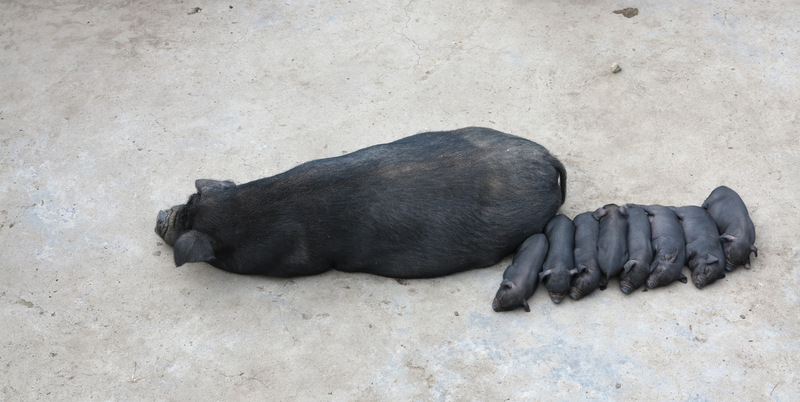 Farmers also raise black pigs, chickens and cows. 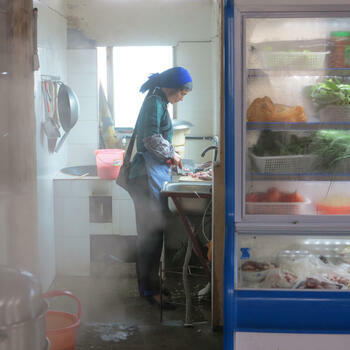 Because most people here are fairly self-sufficient, there are no big stores or supermarkets, other than the usual roadside shops. 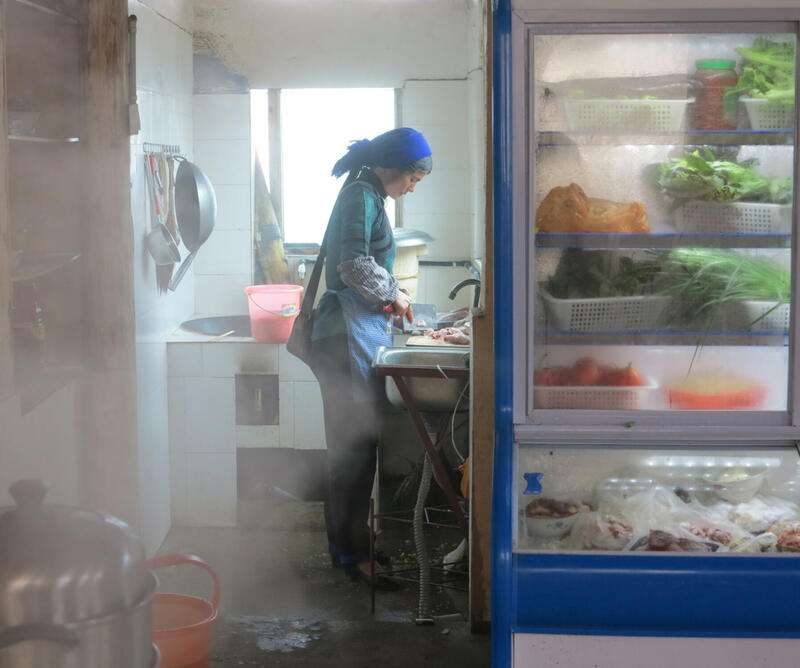 The major advantage of this is that the food you'll eat in Yuanyang is grown locally and is seasonal and tasty. On holidays, local kids run around the villages. Most of the towns have primary schools, but children have to go to bigger settlements as they grow older to continue their education. If you happen to visit on a late Sunday afternoon, you can watch them all squeeze together into small minivans carrying their backpacks and little gifts from home as they get ready for another week at boarding school. 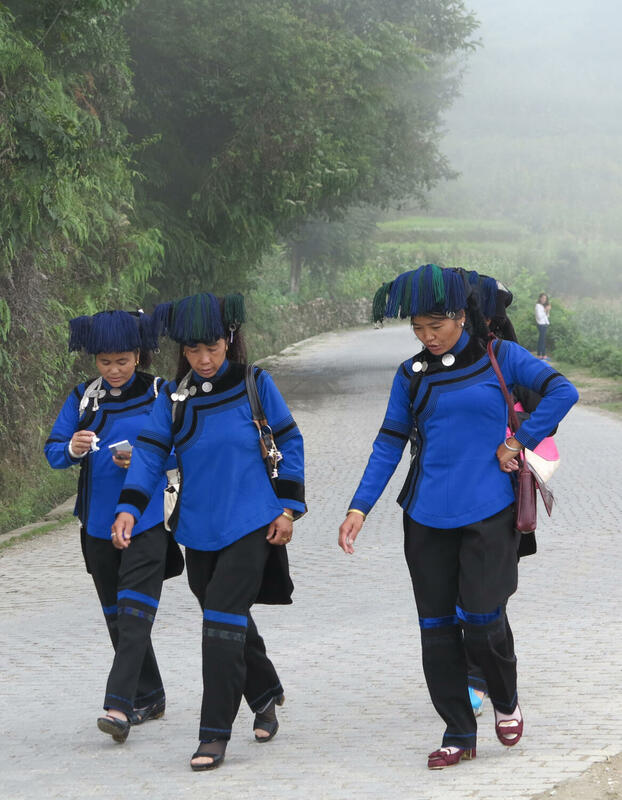 The arrival of mass tourism means some are tired of having their pictures taken, and occasionally ask for money from tourists with cameras poised for a shot. However, we've found that spending just a bit of time in town and genuinely interacting with locals instantly alleviates any of this friction. 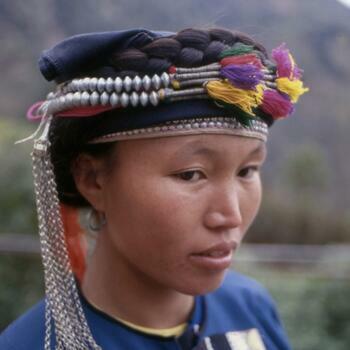 The younger Hani generation all speak Mandarin, and will translate everything you say to their elders in their local dialect. 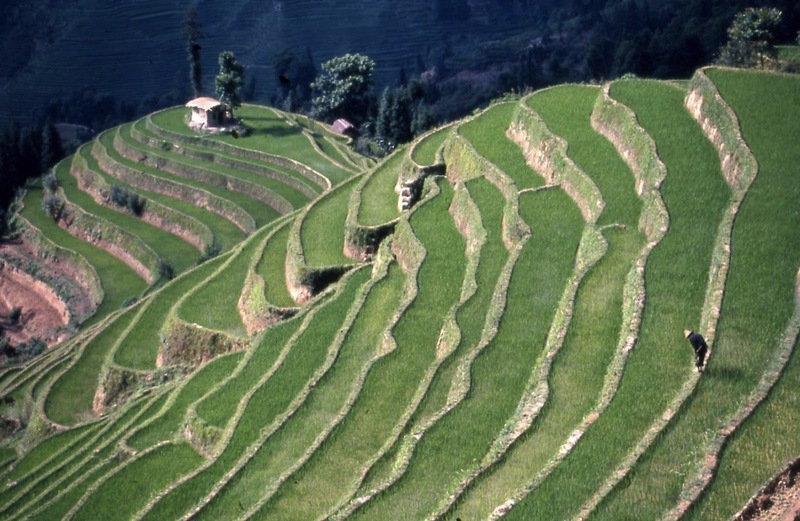 The Hani will be extremely pleased to sit down and discuss their terraces and their culture, which is thought to have originated on the Tibetan Plateau several thousand years ago. 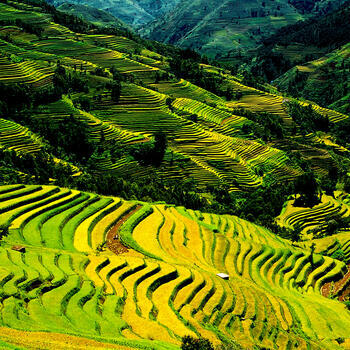 They obviously migrated south, and once settled in Yunnan, set about creating one of the agricultural wonders of the world. When you sit down with a few villagers, the entire town will likely gather around. 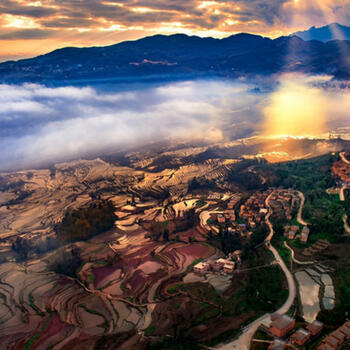 • Duoyishu Village (多衣树村) is the ideal spot for watching the sun rise. 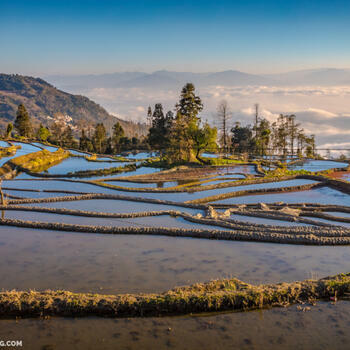 Viewing platforms are located next to the main road, but the village square and the paths leading into the terraces from it also have very good views. The drive from Xinjie to Duoyishu takes about 45 minutes. 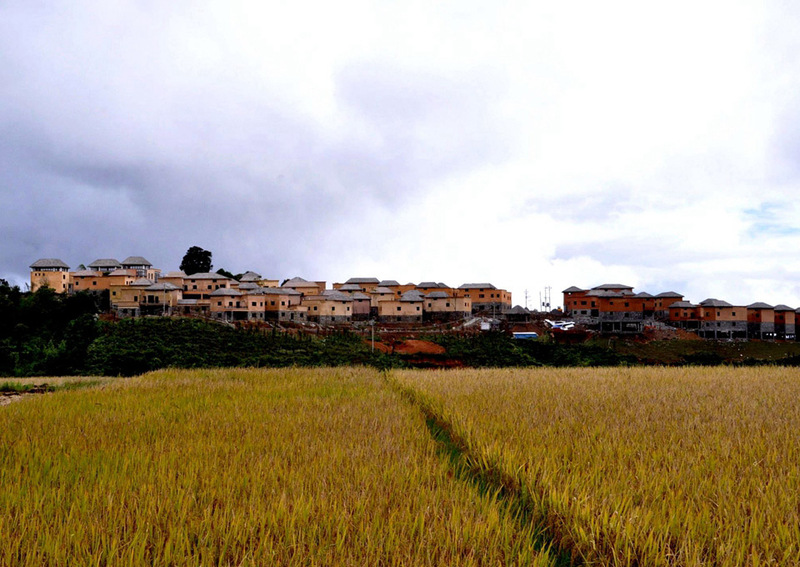 • Bada Village (坝达村) is a collection of small hamlets that is a bit larger than Duoyishu. It features new houses built in the old style as well as some 100 year-old mud-brick dwellings. 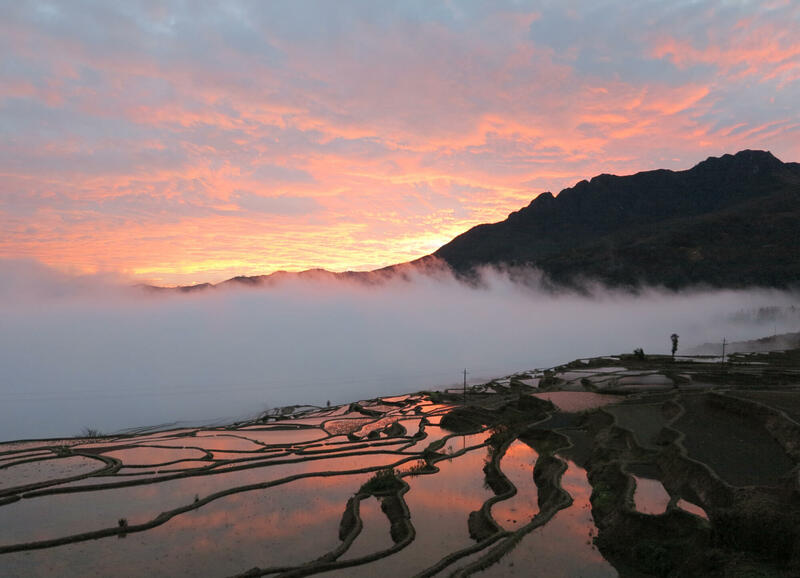 It's a great place for viewing both sunrises and sunsets, and is approximately 30-minute's drive from Xinjie, or ten from Duoyishu. • Laohuzui (老虎嘴) is the ideal sunset spot. The name — which translates to 'Tiger's Mouth' — was chosen because somehow the shape of the terraces on a nearby hill resemble the animal...or sort of did. Sometimes the fog here is so thick cars stop on the roadside to wait it out. There are two viewing platforms, separated by a very steep set of stairs, but they are increasingly popular with tourists. Get there early! 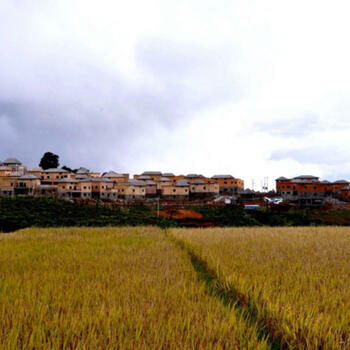 • Qingkou Traditional Village (箐口哈尼民俗村) is a newly built town created to mimic original villages of the past. 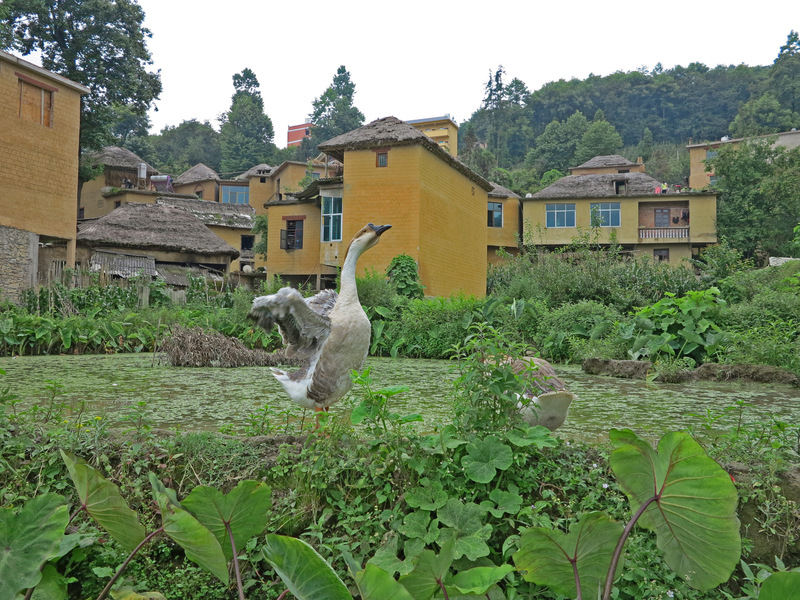 It features reconstructed, water-powered grain mills and two springs called White Dragon and Long Life. 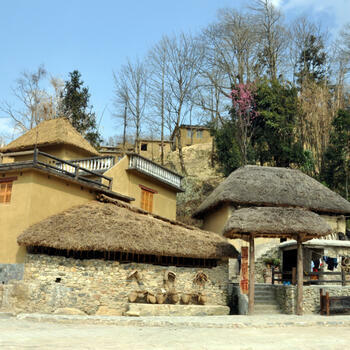 • Azheke Village (阿者科村) is just short ride from Duoyishu, or a pleasant one-hour walk. 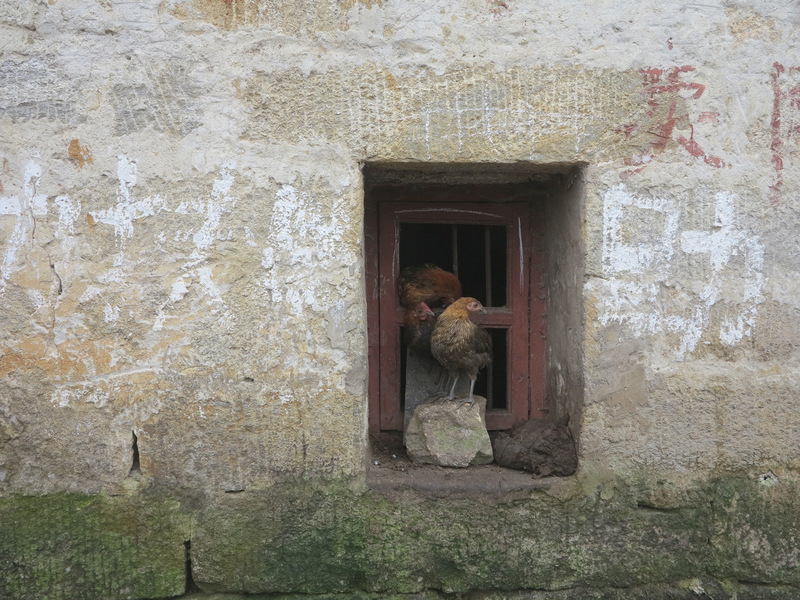 There it is possible to see traditional 'mushroom houses' (蘑菇房), so called because of their three-floored structure ― the lower for livestock, the main one for the family to live in and the upper for storage. 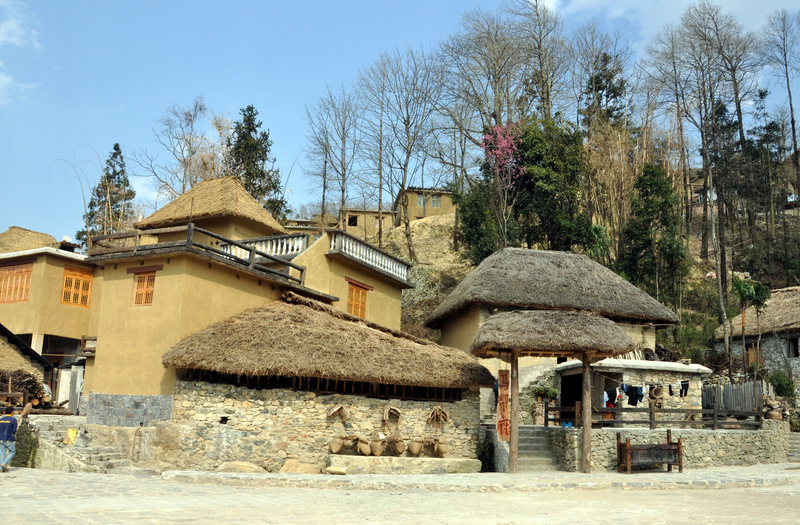 They are built with mud bricks on stone foundations, and the roofs are layered with bamboo, straw and wood. The town's main square is a few minutes walk down from the entrance to the village, and that is where the local version of the fantastic annual Hani Long Table Feast (长街宴) is held. 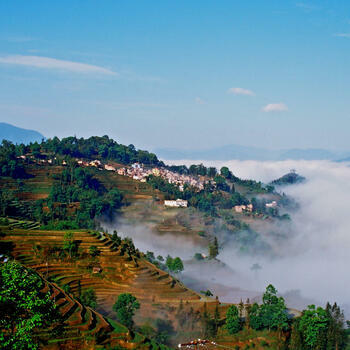 Lodging: The number of places to stay and eat in and around Yuanyang are growing exponentially these days. 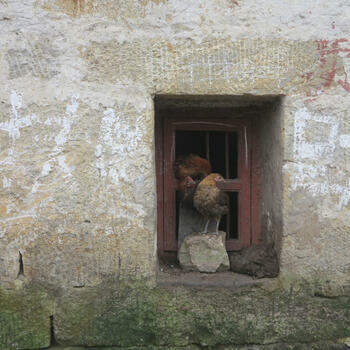 However, we recommend Timeless Hostel in Duoyishu Village for the atmosphere and wonderful food in its eponymous café. 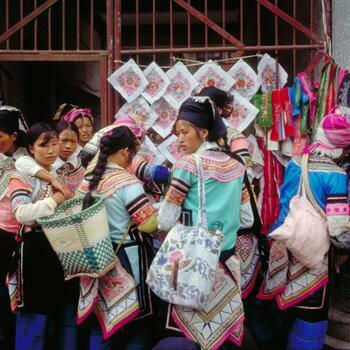 The embroidery and handicrafts available for sale there are also lovely. The Lanchong Express Hotel also has basic but comfortable rooms at reasonable prices. 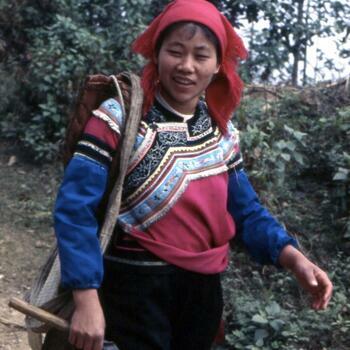 Food: Hani food is typically simple, spicy fare either farm-grown or collected from the mountain forests. 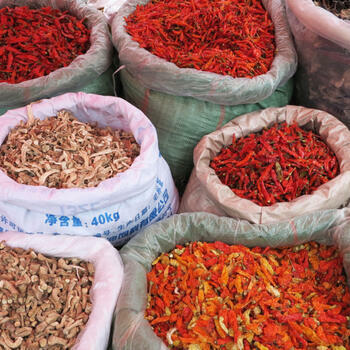 Cured meats and pickled vegetables are both common and delicious options when choosing stir-fried dishes. 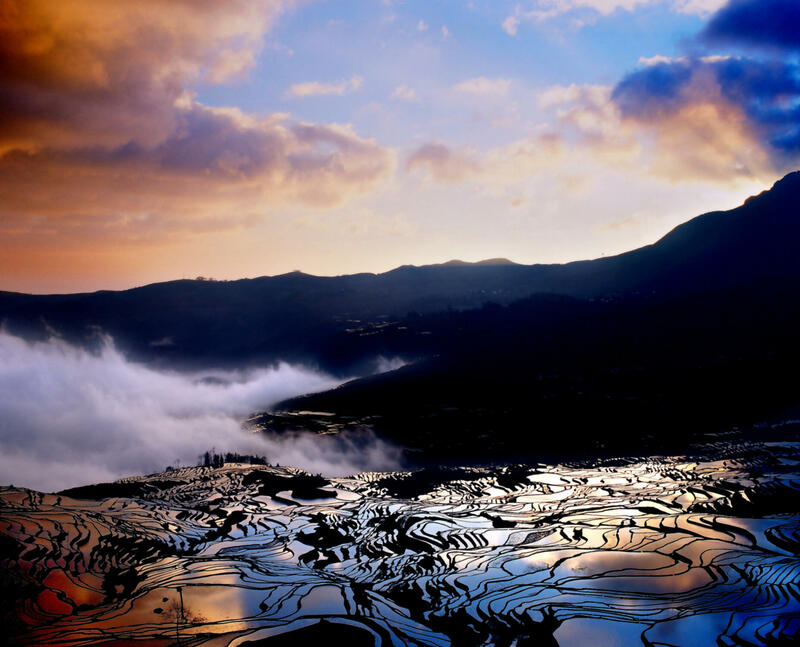 Moss, lichen and occasionally blood and insects also appear on Yuanyang menus, and the red and purple rice grown in the terraces is not to be missed. 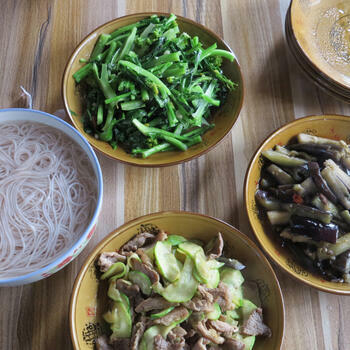 The aptly named Hani Traditional Cuisine Center in Xinjie serves regional favorites sourced locally. 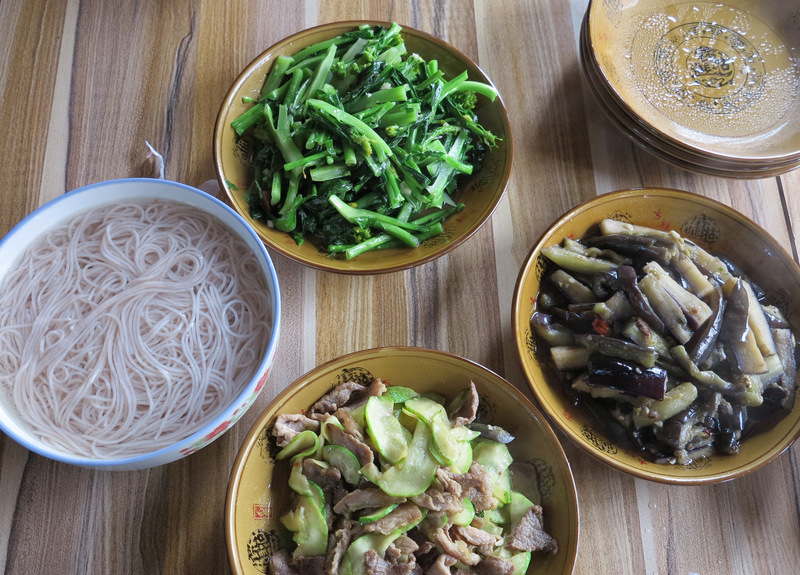 For those who like spicy food, check out Hani Hotpot, an eatery located inside the scenic area near Xinjie. 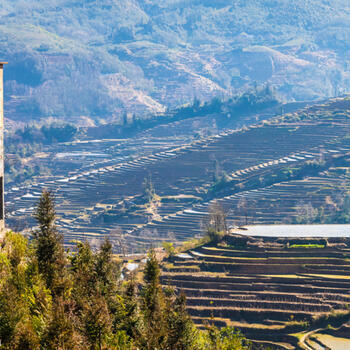 For more lodging and dining options, see our Yuanyang listings page. Getting around: Minivans ply the roads between all scenic spots, often waiting to fill all of their seats before setting out. 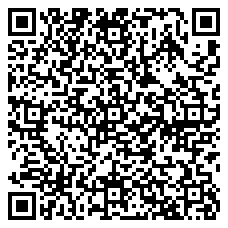 We recommend hiring a driver and car for either a half or whole day, as the area is quite spread out. Local buses also available. 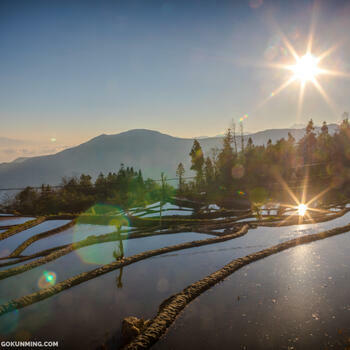 Yuanyang has been on the travel list for Western tourists for quite a while, but actually only for the fairly adventurous used to embark on the long bumpy bus ride required to reach it. 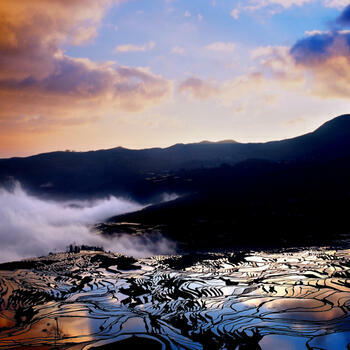 However, more and more Chinese tourists — increasingly interested in photography and the outdoors — now visit Yuanyang. 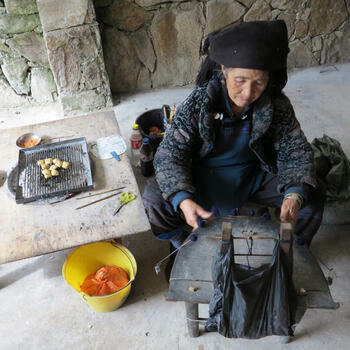 Highway conditions and roadside facilities are much improved these days, but getting to Yuanyang on a tight budget by using public transportation still leaves plenty of room for adventure. Train and flight services currently do not exist, but this will change soon, as a dedicated airport is under construction nearby and slated to open in mid-2019. 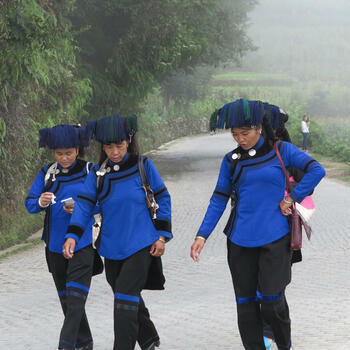 By bus from Kunming: Three direct buses depart Kunming for the Yuanyang village of Xinjie each day. They leave from the Kunming South Bus Station at 10:20am, 12:30pm and 6pm. All cost 140 yuan (US$22) per person and the trip takes between six and seven hours, depending on traffic. Make sure to book both transportation and accommodation in advance during China's National Day and Spring Festival holidays. Enjoy the stunning sights! I was told by everyone I know, and a few on this forum I don't know, that any visit longer than a day would be pointless. I stayed three nights this Spring Festival and I tend to make a further trip in future if I can. You could speed around the various sites in a minivan, jump out, take a few snaps and swiftly move onto the next viewing platform. If you can only afford one day, then it would be worth the effort. But unless you get down onto the terraces and into the villages, you've left a lot out. Some people lay on a beach for a week. I would argue that if you think you might like to make the trip to Xinjie, it's got to be worth more than 24 hours. 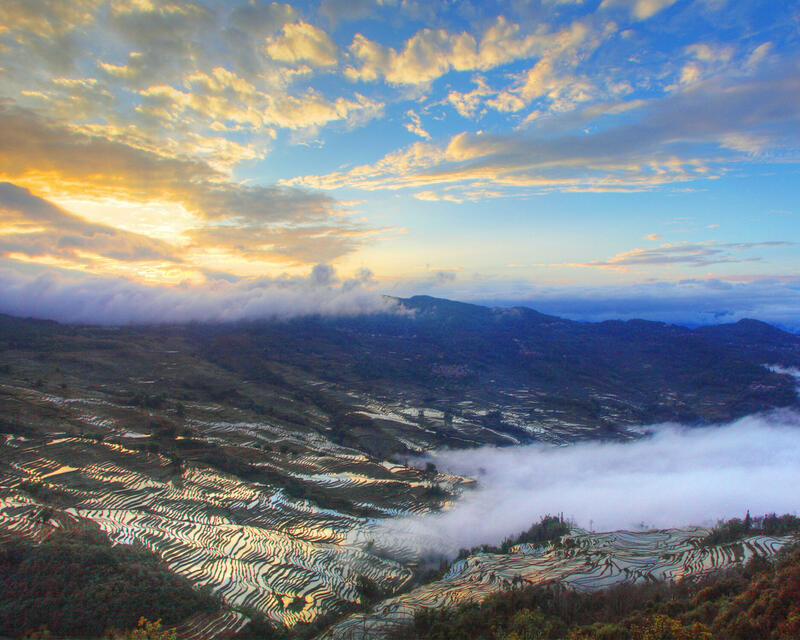 Yuanyang needs more than one day for sure. 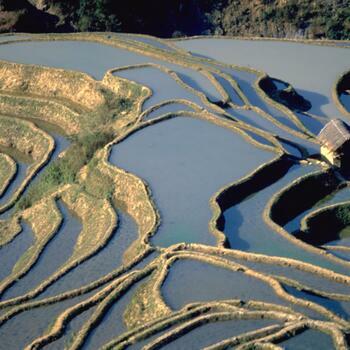 Best time of year is around Spring Festival after the terraces are flooded and before they are planted. You also need a car/van and driver. 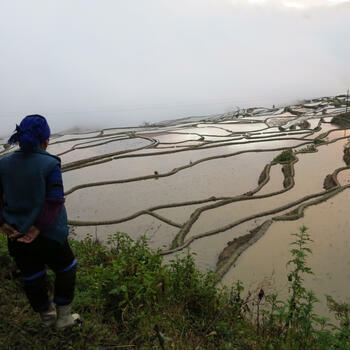 Best times of day is dawn and sunset to get light reflecting off the paddies. 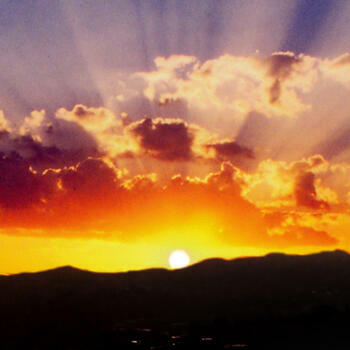 You only have about 15 minutes with the best light. My experience was mixed. At sunset there was a lot of haze and smoke from farmers burning whatever they had cleaned out of the terraces. 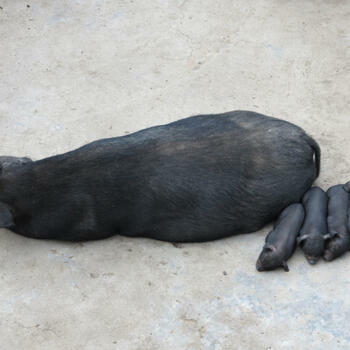 The driver showed up late in the morning then insisted on breakfast. 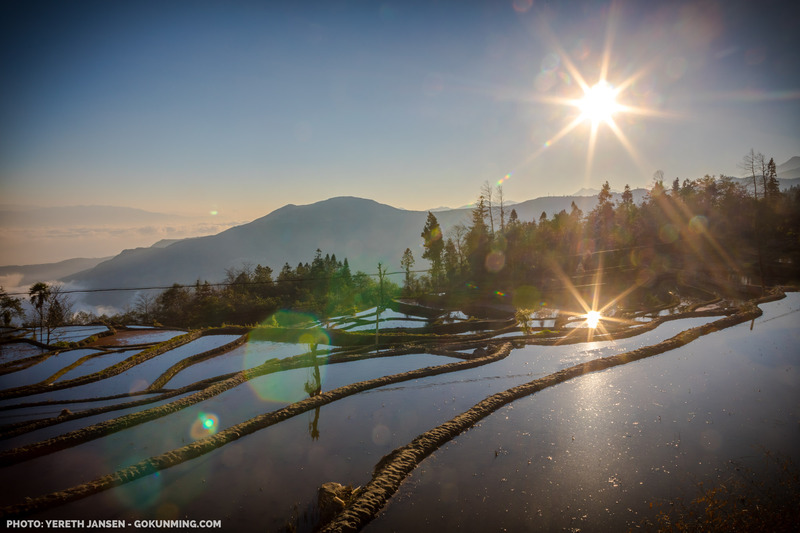 I got my best shots at Dou Yi Cun and Bada at sunrise and the morning. I was there in 2010 as the lookout platforms were being built. It does get crowded with Chinese tourists who tend to bump and push. I was using two cameras on tripods. People had no problems touching, looking through and moving the camera I wasn't looking through. I was disappointed with my terrace photos. 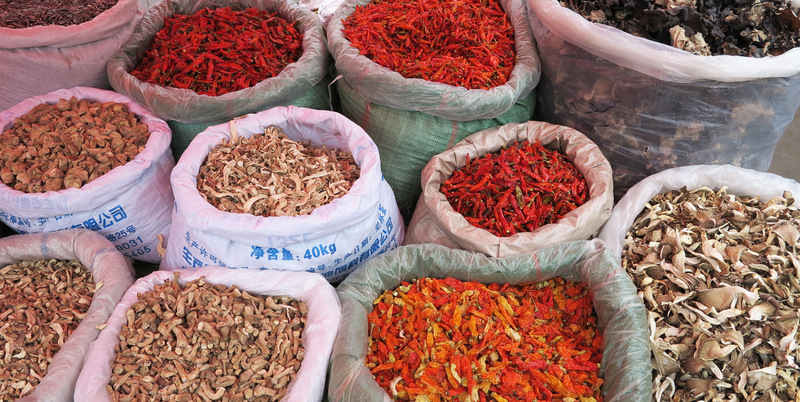 I spent the daytime hours wandering in markets, streets and alleys. 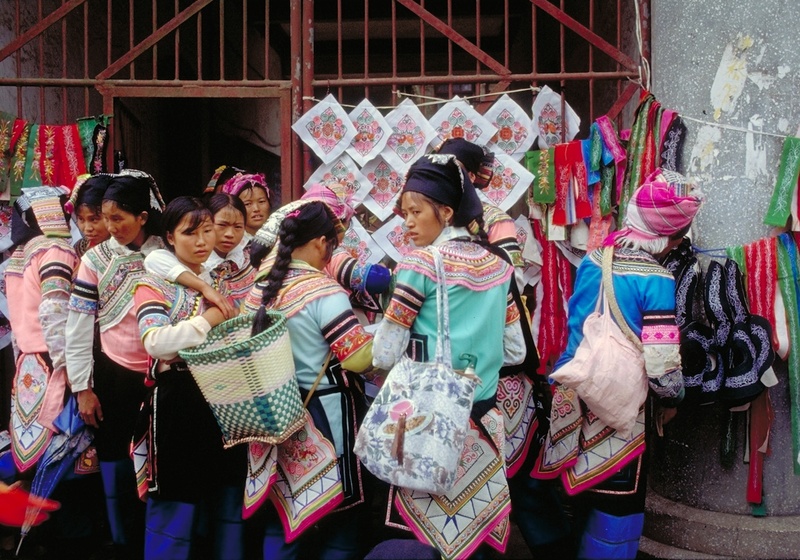 Got many great shot of minzu ladies in their finest 'go to market' dress, kids and some cool old faces. I was pretty much ignored taking people photos. I took over 2500 photos in three days.